Leather Dipping Belt with chain and snap clip closure. 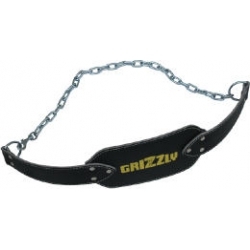 Used for adding weight to ones own body when performing dips and chin-ups. Assists in exercising triceps back and chest muscles.Multi-ply leather construction.Solid steel chain with D-Ring and snap closure.One size fits all.